At 27, Danny Miller expected himself to be his company’s “young gun” diesel mechanic. But then he began noticing involuntary muscle movements in his face, hands and feet. He felt weak. His memory was fading. 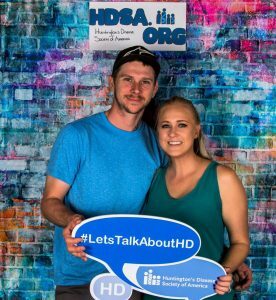 Danny Miller and his wife, Katie, at a Huntington’s Disease Society of America (HDSA) event. Danny was recently diagnosed with Huntington’s. Doctors gave him a heartbreaking diagnosis: Huntington’s disease, an incurable neurodegenerative disease that causes severe mood changes, cognitive decline and early death. Scientists describe Huntington’s as having Alzheimer’s disease, schizophrenia and ALS (Lou Gehrig’s disease) all at the same time. They know that a mutant gene causes the disease by stimulating production of an abnormal version of a protein called huntingtin. 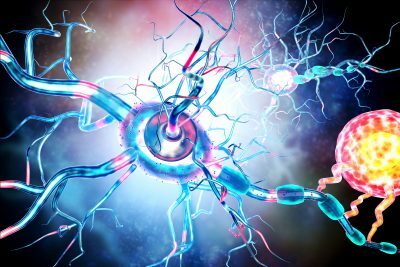 The protein’s exact purpose in the body remains unclear, but it appears to play a critical role in the function of nerve cells, especially in the brain. So abnormal huntingtin proteins are most harmful to brain nerve cells. Now a UCF College of Medicine researcher has synthesized pieces of DNA to stop production of mutant huntingtin while leaving normal huntingtin proteins intact. Dr. Amber Southwell’s results, published this month in Science Translational Medicine, showed that after suppressing the mutant protein in mice, damage to their brain function not only ceased, but in some cases was completely reversed. About 30,000 Americans have Huntington’s disease and typically live about 15 to 20 years after diagnosis. Carriers have a 50 percent chance of passing Huntington’s on to their children. Miller says he wasn’t surprised by his diagnosis – his father, sister, grandmother and at least three other relatives have Huntington’s or have died from it. Earlier studies have focused on trying to alleviate the motor problems associated with Huntington’s – such as the involuntary dance-like muscle movements called chorea. But few studies have looked at preventing the cognitive and psychiatric aspects, Southwell says. “If you talk to HD patients and families, these are the things that have the biggest negative impact on their quality of life,” she explained. Southwell worked with Ionis Pharmaceuticals to develop modified pieces of DNA called antisense oligonucleotides (ASOs). Once injected into the cerebrospinal fluid — the fluid that bathes the brain — the ASOs keep cells from producing mutant huntingtin. After being injected with ASOs, mice with cognitive and psychiatric abnormalities similar to those in human Huntington’s patients became less depressed and anxious, with restored learning abilities and no observable side effects, Southwell says. With the most potent ASO compound, benefits were seen more than 10 months after a single injection. More testing is needed to better assess how well this could work in humans, but Southwell and patients like Miller are hopeful. “It gives us hope to know that we have the advantage of someone fighting for us. 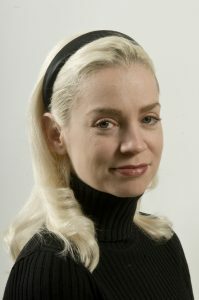 We just can’t wait to see how her research continues to unfold,” Miller says. Since the disease progresses in stages, Miller is left with the gnawing uncertainty of what happens next. He and his wife have decided against having kids, worried not only about passing the disease along to their children, but also about how watching their father “deteriorate” would harm their offspring.